So that's where legless lizards come from! 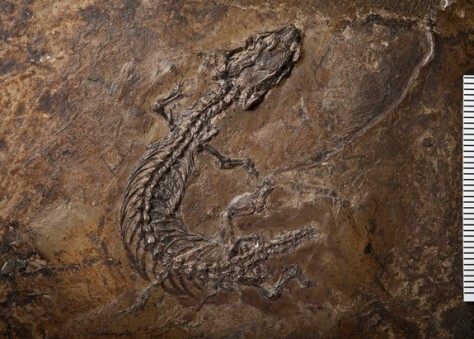 The original and only known specimen of the Messel lizard Cryptolacerta. The skeleton is only a few centimeters long and is almost complete, lacking only parts of the tail. Its hands and feet were very small, showing the first steps of limb reduction.